If you experience a delivery delay, call 1-877-798-4141 to check on delivery status. 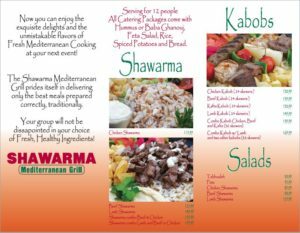 Now you can enjoy the Exquisite delights and the unmistakable flavors of Fresh Mediterranean Cooking at your next event! 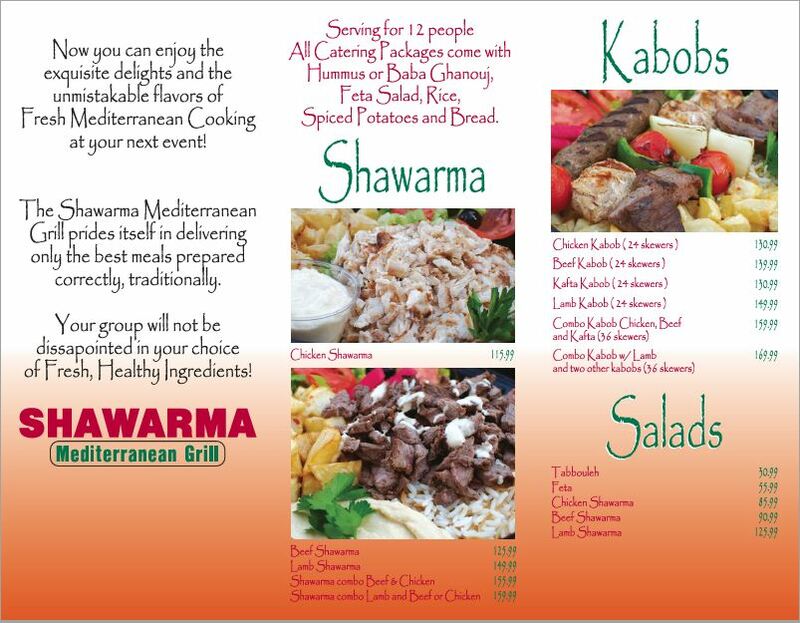 The Shawarma Mediterranean Grill prides itself in delivering only the best meals prepared correctly, traditionally. we are here to make sure your next event is a wild success! Talk to one of our catering specialists to see how we can make your event one to remember. 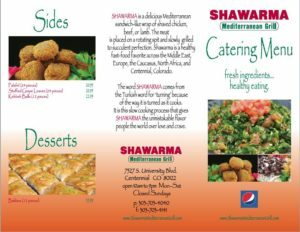 within 24 hours to review your catering needs. 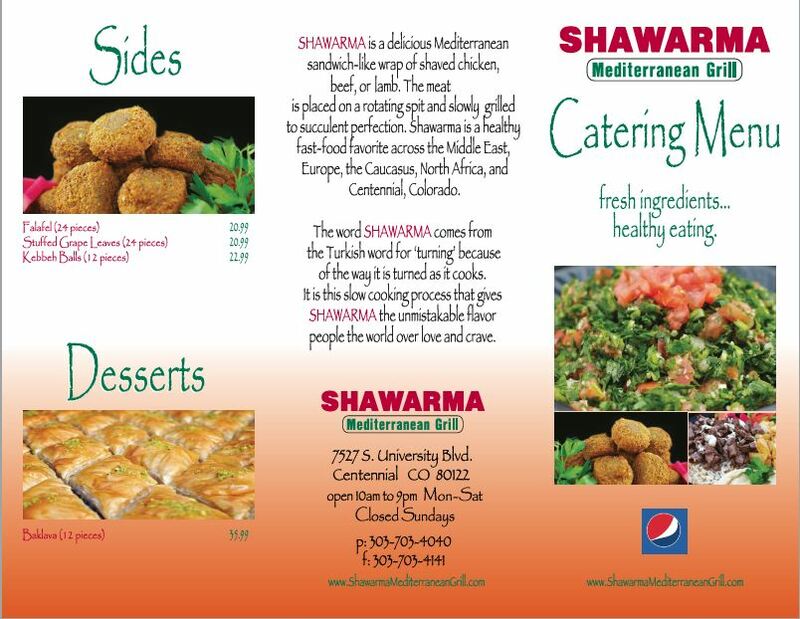 All Catering Packages come with Hummus or Baba Ghanouj, Green Salad, Rice, Spiced Potatoes and bread.